The Darroze family has devoted itself to its 2 driving passions – cuisine and Armagnac – for 3 generations now. The story starts in 1960 with Jean Darroze and his famous restaurant in Villeneuve de Marsan, in the heart of Bas Armagnac. His son, Francis, was in charge of the wine and Armagnac list. Over the course of his visits to small properties here and there he amassed an extraordinary collection of eaux de vie from the different Bas Armagnac terroirs. In 1974, Francis decided to build his own cellar specifically dedicated to ageing, and began selling these precious armagnacs. Over almost 40 years the Darroze collection has increased and today their cellars hold over 250 different armagnacs from 30 estates, covering over 50 vin-tages. Francis has retired now but his son Marc, a trained oenologist, continues selecting and carefully supervising the ageing of his Armagnacs, which are now included in 2 new ranges. 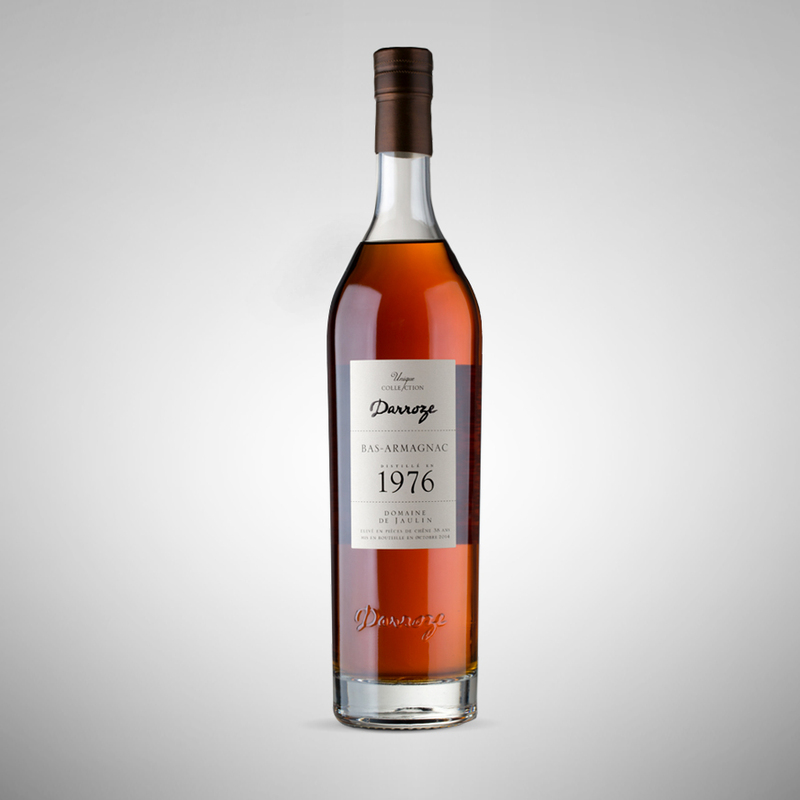 Darroze armagnacs are considered by spirits lovers everywhere as some of the finest available. the particularly undulating relief of the land allows for fluctuation of the vine and the forest, the deposit of tidal sands, known as the ‘tawny sands of Bas-Armagnac’ where the vines thrive, the Landes forest which is a tremendous regulator of temperature and rainfall and last but not least, the men from the region, who, in tune with their terroir, have chosen the grape varieties best suited to the production of white wines for distillation. « Collection Unique » : unique in that armagnacs from two different estates will never be blended, so as to retain all the characteristics typi-cal of the terroir, climate and grapes they come from. Armagnacs of different vintages aren’t blended either, so as not to mask the individual characteristics of each vintage. No water is added to the armagnacs to reduce the alcohol level; the alcohol evaporates naturally (the famous ‘angel’s share). 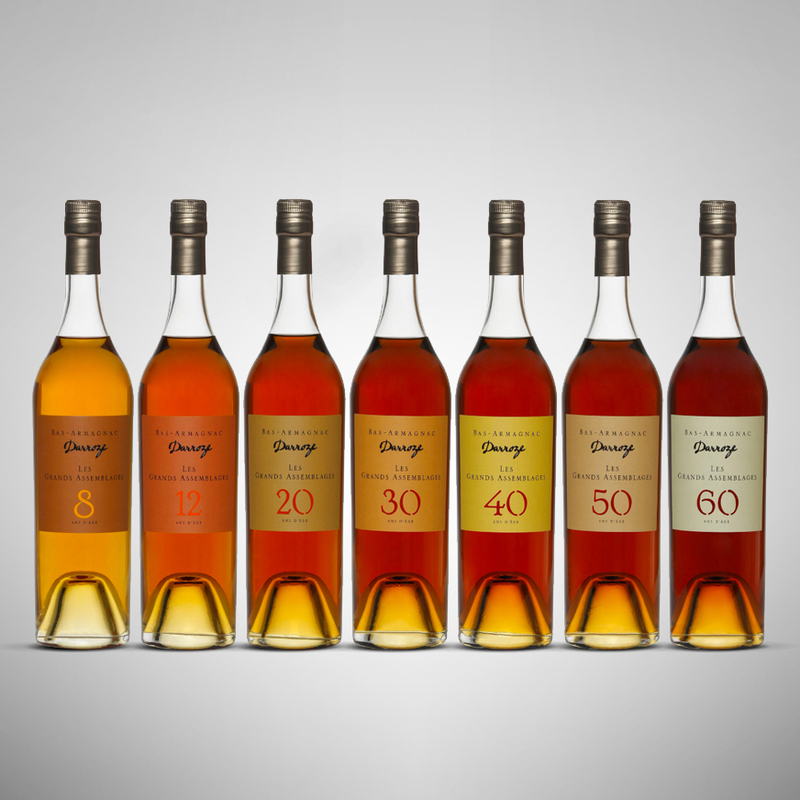 The armagnacs in the « Grands Assemblages » range are chosen for their complementary characteristics and the selected armagnacs in each blend are of different ages. 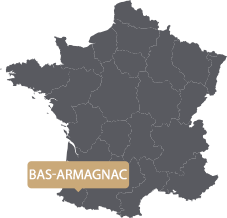 The age indicated on the bottle is that of the youngest Armagnac in the blend. From the fruity aromas typical of the young Assemblages, to the spicy and candied fruit notes at around 30 years of age, through to the chocolate and coffee notes for the oldest Assemblage, the spectrum of aromas evolves naturally over the course of barrel ageing. Baco, Folle Blanche and Ugni Blanc.